Ultra running training day – Booking open now! 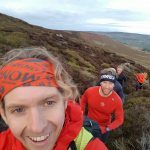 Home Ultra running training day – Booking open now! We are really excited to be providing aspiring to experienced ultra runners with a foundation of information and training towards helping you achieve success and enjoyment in your own ultra running goals. No matter what level, experience or distance, we cater for everyone and leave no one behind. If you are looking at developing your ultra running, then this will be ideal to get you on your way or help you refine your skills and knowledge even further. After running several training weekends and days with the focus on trail running, we have put together a day that is ultra specific so that you can go away with tools and ideas to help you practically improve at your chosen distance. The day will be a mixture of practical and theory based sessions provided by Jayson and Kim, experienced ultra, trail, fell and mountain runners. We are also both full time UK athletics qualified running coaches where we work with a wide range of athletes in a variety of disciplines and experience levels. The day will be aimed towards helping you develop your running skills and knowledge to help prepare and improve your ultra running ability and enjoyment. Anyone who is into, or wants to get into ultra running. Although there will not be a massive distance covered on the day, this is for those of you that have completed a marathon or ultra already and want to improve your performances. We cater for all levels within these criteria so whether you did your first marathon last week or have been running ultras for years, there will be something for you. Speed is not an issue either: don’t worry about being left behind. Equally, if you are a whippet, you will be challenged too. We aim for you to get as much out of the day as possible, although we want to enjoy the stunning outdoors as much as possible we also have a great indoor location to utilise were will share and discuss useful information to help you develop as a runner and more specifically for ultras and trail. We have taken some of the most useful and relevant subjects which have been put to good use in previous training weekends and camps: these are some of the core components to helping you develop and be more comfortable and confident when running long distances and working out what sort of training you may need to do. This will be in the form of practical sessions where we will offer feedback to help you improve and learn, and also theory sessions where you will be able to take away information you can apply and put into practice yourself. One of the biggest factors in how a race pans out is nutrition. It can be a confusing area and one that people have strong opinions on, but really, it is simple. In this session, we will get you to really think about what you put into your body at all times in order to get the best from it but also to feel healthy every day. We will look at general nutrition and how to be healthy every day, and race day fuelling for achieving a strong performance. Training your body is not just about bashing out the miles or hitting the gym: training your stomach is just as, if not more, important. We can’t get away from it when we run off road (and often on) and we often find that people find one or the other harder. This session is put together to help you develop your skills and ability in going both up and down the hills, whether fast, smooth slopes or rough and technical. We also include a bit of theory and psychology on how and why we may struggle and how to overcome this then out to practice and apply some of the things you have learnt. Quite often we fall into a bit of a one pace fits all running routine or an ‘ultra shuffle’. This can generally be down to not understanding or realising that there are some straight forward sessions and ways to develop your running through all of the gears. Knowing how to plan your training so that you hit your chosen event at your peak can be tricky too, so here we can help you to structure your training in a more effective way. Being under or over trained is always a concern with ultras, so this session should give you some tools on how to avoid this. Whether you are worried about getting injured, already suffer from some injury or just want to feel more fluid and flexible, then some form of strength and conditioning will greatly help with your running. If you are heading off road, over long distances, you will be subject to a variety of dynamic physical challenges, such as variety in terrain and foot placement, or turns and twists along the trails, not to mention the amount of time you spend moving. We go through some of the most effective yet fundamental exercises and routines which you can take away a put into practice yourself, without specialist equipment and minimal time requirements. The fun part where we head out for a run and enjoy the fantastic trails in the local area. We will cater for everyone in this and do it in such a way that it is fun for everyone and is also a chance to reinforce some of the key skills you have learnt throughout the day. So no need to worry if you feel you may hold people up, you won’t and if you are a whippet we will still put you through your paces.